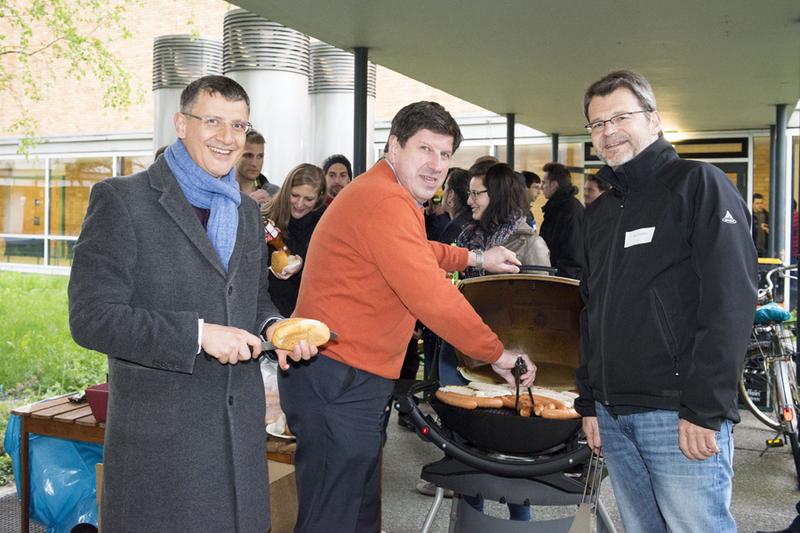 In April, the entrepreneurs’ barbecue was hosted by a member of the executive board for the first time in the eight-year history of the event: Professor Thomas Hirth, the new KIT Vice President for Innovation and International Affairs, personally fired up the grill and explained the significance of innovation at KIT and plans for the further development of the Centre for Interdisciplinary Entrepreneurship (CIE) to attendants of the event. He was supported by the Head of KIT Innovation Management (IMA), Dr Jens Fahrenberg, and the Head of the Institute for Entrepreneurship, Technology Management and Innovation (EnTechnon), Professor Orestis Terzidis. 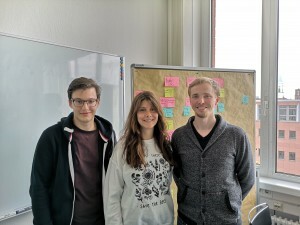 The “KIT Gründerschmiede” (Founders’ Forge) project aims to strengthen the entrepreneurial culture at KIT. 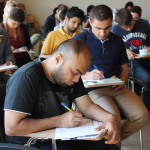 It has been funded within the scope of the “EXIST” programme since 2013. Over the course of the past three years, various measures have been implemented, and their first results are becoming apparent. 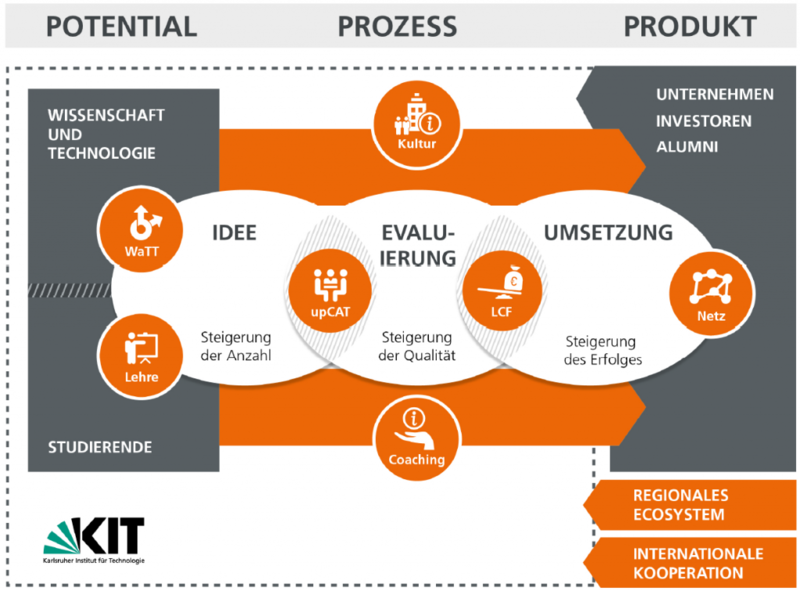 KIT has reached the third place in the “Gründungsradar” ranking by the Stifterverband für die Deutsche Wissenschaft (Donors’ association for the promotion of humanities and sciences in Germany) and tied place with the start-up RESTUBE GmbH for first place in the renowned Deutschen Gründerpreis awards in 2015. The second round of funding has been approved on this basis, as continuity and the development of successful measures is one of the main principles of the association. 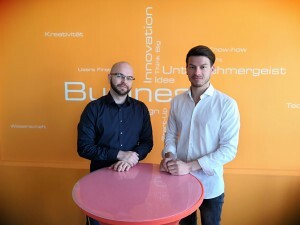 We are delighted about the continued sponsorship from EXIST IV and the implied success of our strategy. 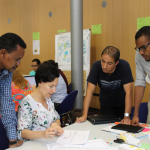 Under the heading “Smart Energy Systems & Entrepreneurship,” the international summer school of the EIT Digital took place from July 27 to August 7, 2015 in cooperation with the KIT Institute for Entrepreneurship, Technology Management and Innovation (EnTechnon). 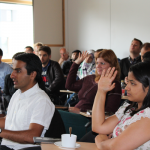 The goal of the summer school was to promote innovations in the energy sector. 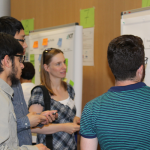 Around 40 participants from around the world participated in the two-week summer school in Karlsruhe. 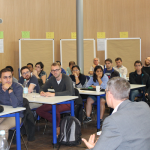 Through expert lectures and workshops, master students, scientists, and young professionals dealt with the energy systems of the future and potential business ideas in this segment such as new energy systems, e-mobility, or storage systems. 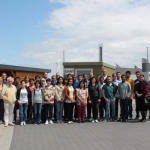 One highlight of the summer school was the excursion to juwi in Wörrstadt. 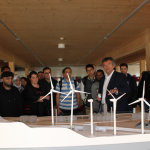 In addition to a guided tour of the company grounds and a tour of the wind facilities, Matthias Willenbacher, co-founder of juwi, was available to answer participants’ questions at the founder’s talk. 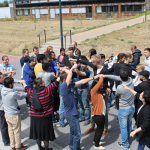 The focus of the first week of the summer school was on energy-relevant topics. 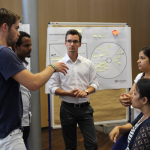 During the second week, potential business ideas were created in various workshops. These ideas were then developed in small groups lead by mentors. 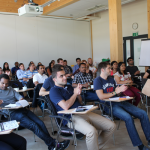 At the end of the summer school, the teams presented their developed business ideas during a seven-minute pitch to an expert jury. After long consultation, the jury named the ‘Multi-Family Homes Flexibility Monetization’ team the winner. Participants were also able to rank each other. In this ranking, the ‘Power Check Plug’ team received the most votes. The final pitch ended with satisfied teams and enthused jury members. 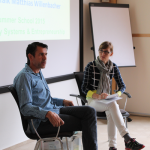 The KIT Entrepreneurship Talks began the year with Ludwig Neer of CAS Software AG. 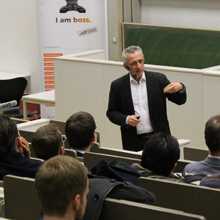 Prospective IT founders and interested people gathered on January 22, 2015 in the Tulla Lecture Hall. 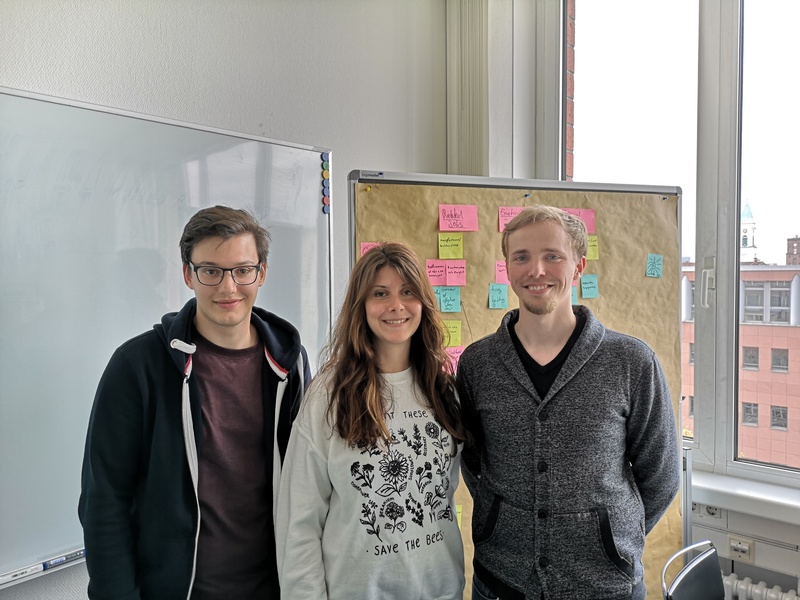 Entrepreneur Neer founded CAS as early as 1986 together with Martin Hubschneider, building the company to become today’s market leader for CRM solutions. In his current position on the board for research and technology, Neer continuously works on the development of the company. 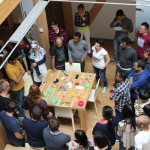 Since the startup of CAS about 30 years ago, the IT industry has rapidly changed. Neer witnessed this development and, at the talk, drew personal conclusions about what is different and important for IT startups today. Many changes have to do with the digitalization, the fast pace, and the large competition in the IT sector.